Well, the arbitrator(s) has made his or her decision. You’re now either “very happy”, “confused by the result” (yes, confused), “disappointed” or “outraged” by the result. So is that the end of it? The short answer is “no”(!) You have to confirm the arbitrator’s award or decide if you can successfully appeal the arbitrator’s decision. New Jersey law has a statutory arbitration appeal process. To collect on your victory and/or enforce the arbitrator’s award, you need to “confirm it”. New Jersey has specific statutes that provide for the enforcement of arbitration awards against parties unwilling to comply with the arbitrator’s decision. The winning party can petition the Superior Court of New Jersey to confirm the arbitration award. Confirming the arbitration award is the substantial equivalent of filing a civil judgment against a losing party. A party to an arbitration may, within 3 months after the award, commence an action for the confirmation of an award or for its modification, correction or avoidance. The courts in NJ are required to confirm an arbitration award unless there are legal reasons not to. Once a court confirms the arbitration award, the award becomes an enforceable judgment, subject to enforcement and execution against the losing side. If the other side refuses to pay or follow the arbitrator’s decision, you should speak to an experienced arbitration attorney before spending significant additional money. Contact Fredrick P. Niemann, Esq., an experienced NJ arbitration law attorney, toll-free at (855) 376-5291 or email him at fniemann@hnlawfirm.com to discuss the enforcement of a NJ arbitration award. 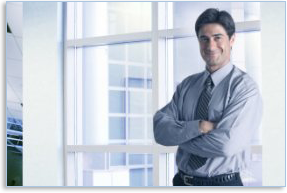 You will find Mr. Niemann easy to talk to and objective in offering his professional opinion. What are the grounds to seek a Modification of an Arbitration Award in NJ? c. Where the award is so poorly written and unclear as to its terms that further clarification is necessary to enforce its provisions. Only in those limited instances will a court in NJ modify or correct an arbitration award, and then only to effectuate the substance of the arbitrator’s decision. d. Where the arbitrator(s) exceeded his/her powers. “Judicial review of an arbitrator’s decision is extremely limited under the New Jersey Arbitration Act. A court will not overturn an arbitrator’s decision for mistakes of law or fact, as long as the arbitrator and his or her decision were not corrupt in any way and the arbitrator did not exceed his or her powers. The parties are free to expand the scope of judicial review by including in their contract that an arbitrator must make their decision in conformance with New Jersey law, and that such awards may be reversed for mistakes of New Jersey law or for gross mistakes of fact finding or procedure but they must define those criteria in their agreement. Here again is the key language. Including safeguards and mechanisms for appealing unjust or outright poor arbitrator awards in mandatory arbitration clauses or arbitration agreements. Having read this site, hopefully you now see why having an experienced arbitration law attorney is so important especially when drafting an arbitration provision under your contract. If you require advice on an arbitration matter, contact NJ arbitration attorney Fredrick P. Niemann, Esq. at toll-free (855) 376-5291 or email him at fniemann@hnlawfirm.com.